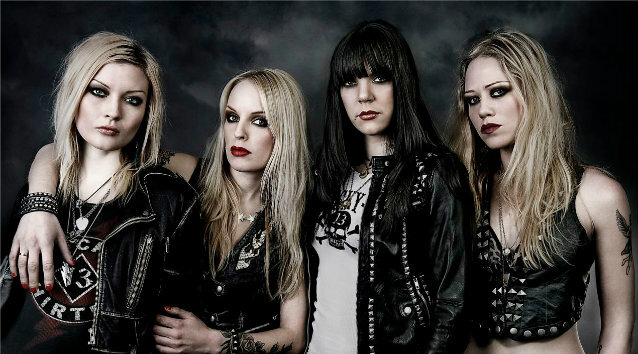 In collaboration with Habanero-Man and Ta-nm Farm in Japan, Swedish all-girl hard rock quartet CRUCIFIED BARBARA proudly presents its own habanero sauce, named after the song "Into The Fire" from the band's latest album, "The Midnight Chase". Says CRUCIFIED BARBARA: "It is a very strong but versatile hot sauce. "Our intention is not to serve you the world's hottest sauce, to make people cry of pain in stupid chili-eating competitions. "We don't want this to be just a souvenir to put on the shelf, we want to make something useful with a great taste that people can actually enjoy. The pain and pleasure you get from the heat and taste of chili in food and drinks is something we want to spread, and this is the perfect hot product for this. "Into The Fire habanero sauce contains habanero that is cultivated at the farm and then prepared as hot sauce, without any additives. It's a small-scale production and Habanero-Man is taking care of everything from growing the plants to the finished product by himself. "The collaboration with Habanero-Man in Japan was initiated when [CRUCIFIED BARBARA frontwoman] Mia Coldheart, chili pepper enthusiast, tried to make her own habanero sauce at home and put the result on Instagram, marked with #habanero. This picture caught Habanero-Man's interest on the other side of the earth and they started a friendship based on habanero and music. "CRUCIFIED BARBARA was impressed by the genuine and natural way of Habanero-Man's production and lifestyle on the country side in Japan, and we really love his handmade, natural habanero products made on his farm. 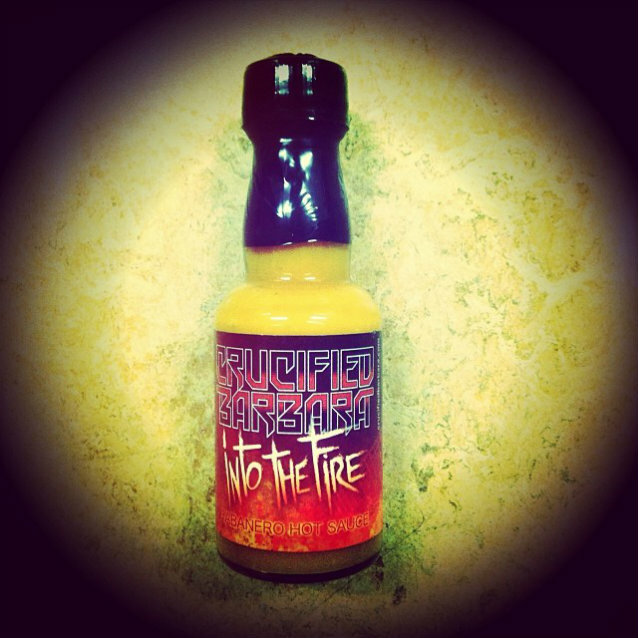 This spicy story is the reason behind our new release; Into The Fire habanero sauce!" Into The Fire habanero sauce can be purchased at this location.